osteotomies, and other wrist injuries, Response Ortho offers Volar Distal Radius Plates, Dorsal Distal Radius Plates, Volar Distal Ulna Plates. 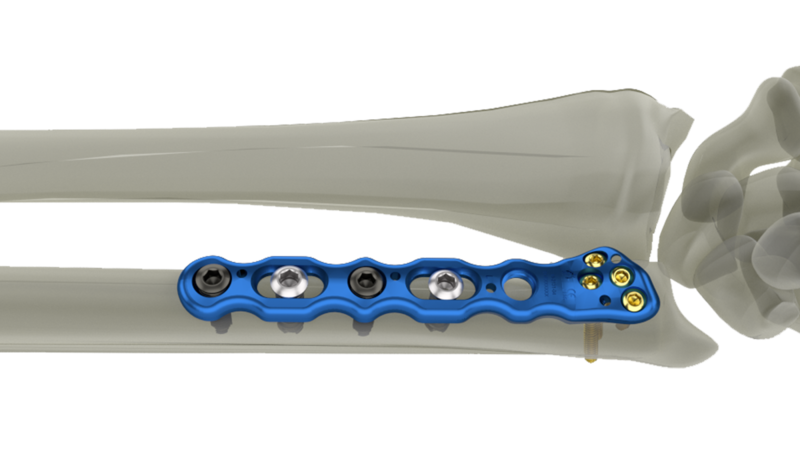 The locking Dorsal Plates offer a solution to treat distal radius fractures that need to be addressed from the dorsal side. Volar Distal Ulna Plates are designed specifi cally for periarticular fractures of the distal ulna. The screw positioning and angulation targets distal fragments of the ulnar head and neck. 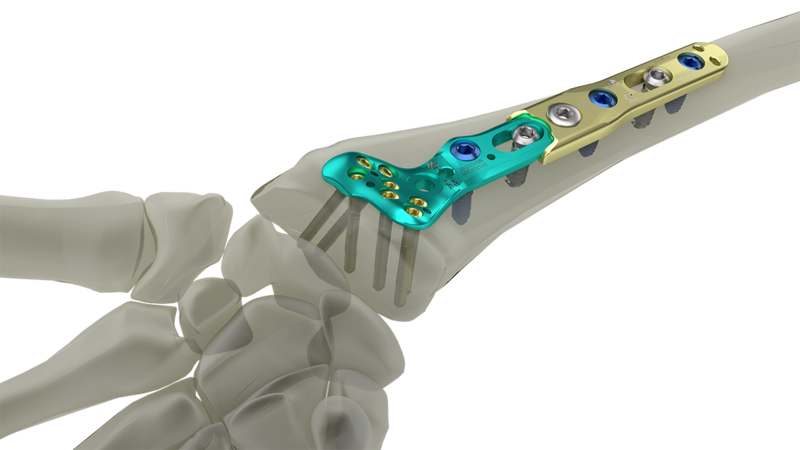 Wrist Plating System, includes plate extension options and fragment specific plating options.